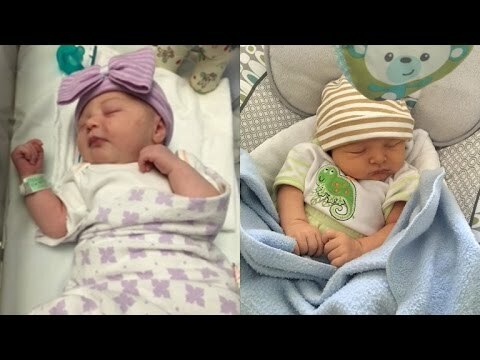 Two brothers had the surprise of their lives when they learned that their wives had given birth at the exact same minute. They were both excitedly messaging their father, who was being overwhelmed by the messages he was receiving from his two sons. At one point he even got lost in the messages, unsure which text message update were for which son. Cousins Cassidy and Brooke Thayer were born at the same minute, at 6:22pm, at different hospitals, over 90 miles away from each other. The brothers said they had not planned it all and the nurses said they had never seen anything like it before!